Choosing the best options and add-ons for VPN services are to say the least a daunting task that can be a challenge. TopTenVPN has created our easy to follow guide to choosing the best VPN service for your needs. Having broken down all of the options these services provide, you will be able to see what you must-have, what you can live without and what service is best for your needs. We have found that time and time again, when shopping the first time for a VPN provider, people often make the same typical mistakes in their search. Most of the time we have seen that people are concentrating on the wrong questions and features in the search for a VPN service. Is there a Free VPN Service? What VPN service is using the most servers? What VPN service can give me the most features? What VPN Service is at the ranked at the top of a google search? What VPN provider is able to offer me the best anonymity and the best security? Is this VPN service Trustworthy? What VPN can provide me with the fastest speeds? What VPN provider offers a mobile app for Android or Iphone? What kind of customer support does the VPN provider offer for technical issues? What VPN Provider can offer me the best value for the services provided? At first glance, you may think that the first questions sounds like reasonable questions to ask. However, with a closer look, we show why they are not. Limitation of Speeds – We have tested speeds on these sites as low as 500kb/s. To give an example of how slow this can be, 500kb/s is only 10% of what you will need to stream a movie on Netflix in HD. These services tend to have very few server locations and make it a practice to constantly try to sell you additional services and features that will turn this cheap/free service into a very expensive one. After reviewing these very common issues, and with some of the best VPN services priced at about $7.00 per month, we can safely state that free is not the best choice. Another common mistake in choosing a VPN service is choosing the one with the top google ranking. Just because you search for the best VPN provider does not mean that the top results are automatically the best service out there. Achieving a top google ranking is something that can basically be purchased. VPN companies use SEO services to purchase the most common VPN related keywords. Whoever purchases the most keywords and spends the most money gets the top ranking. So instead of getting a provider that uses their budget to provide outstanding services and features, you get one that offers less service and fewer features as all their money is going to purchasing keywords. VPN Providers love to show all of the amazing new features they have to offer. Having tested so many sites, TopTenVPN has found that just because they offer a great feature that does not mean it works properly. Having tested so many VPN service features, time and time again we have found that the feature just does not work at all! IN many cases the software may show that you are connected to a VPN tunnel when the attempt has actually failed and you continue to use your normal connection when thinking you are on the VPN. Today, VPN software can be found on open sources and free to the public. This allows pretty much anyone to offer VPN Services. Just because they have the funds to set up the service and the software required, does not mean they can offer technical knowledge that is required to successfully maintain and run a VPN service. Will this provider be trustworthy? Will they protect my privacy? Will they protect my Data? Will they log my usage and data without my consent or knowledge? How secure is their VPN Tunnel? What kind of reliability should I expect from the VPN servers and software? What should I look out for that shows me a VPN is trustworthy? It is very common and expected that when you look at a website for a big company/corporation, you will consistently see company information listed. However, transparency with VPN providers can be very lacking with some not providing an address or even a phone number. #1 – It is smart to choose a provider that is located in a nation with a 1st world economy that values personal identity and freedom of the internet. The United States and most developed nations in the world have laws in place to protect a consumer against companies that make promises that are not delivered upon. Using a VPN service from a country with a 3rd world economy will not guarantee the security and safety of customers privacy when there are no laws or accountability in place to monitor them. When you are dealing with providers in countries like the United States, United Kingdom, Germany or even the Netherlands, you can be assured that these companies are held accountable for customer deception. 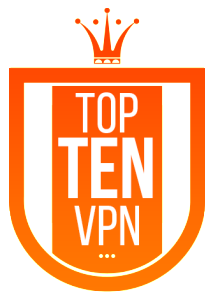 Through our research, TopTenVPN will recommend VPN providers that are based here in the United States. In addition to the excellent consumer protection laws in the USA, there is government oversight of these providers. The best part is that the US does not require VPN providers to keep any data retention of their customers. This gives you the peace of mind that there are no logs kept with your valuable information that can easily be compromised. You can read the full review here or check out their website for more information. Remember that google ranking has nothing to do with popularity. A popular site is one that has received thousands of reviews from happy customers that can attest to a provider’s reliability, customer and technical support and almost any other question you may have to see that the provider is a trusted one. In today’s world of information at our fingertips, a customer’s review can make or break a company. This allows good companies to consistently strive to provide excellent service that will bring them great reviews. How do I know how Secure a VPN is? 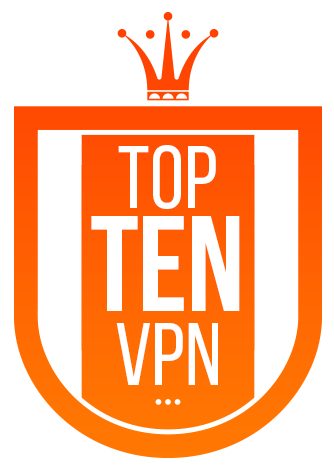 TopTenVPN has performed tested security features on VPN Providers. 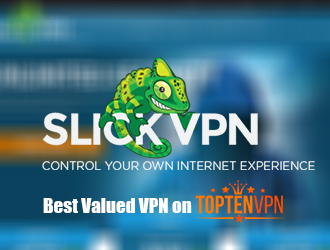 TopTenVPN has performed tested security features on VPN Providers. We found that there are security issues that could not be ignored like outdated Tap drivers for OpenVPN. We also found some who show a status being connected while all the time the VPN attempt failed as well as leaks of DNS information. A good VPN provider will have software that gives you a consistent and reliable connection. Having a constant concern if you are connected or not to a VPN can be stressful. You should not have to be wasting time and energy searching VPN logs to make sure you are connected. VPN providers should never leak identifying data. A DNS leak happens with vulnerability in security of windows operating system where windows can expose a person’s true IP address during a DNS lookup. A good VPN will have anonymous DNS servers. These anonymous servers as well as DNS Leak Protections software is in place as a safeguard against this windows vulnerability issue. Look for VPN services that offer an OpenVPN encryption. The Encryption should be at least 128 bits. Commonly used by the US Government as an unbreakable safety net against attacks, a 128-bit OpenVPN will continuously check and repair security vulnerabilities. Always make sure that the VPN service is never making logs of your online activity. The best VPN providers will keep little or no logs at all. Mainstream Internet Service Providers usually log all of your online activity including your downloads for a period of about 6-24 months. Keeping logs make it easier for your identity to be breached and your privacy compromised. VPN companies who keep logs can defeat the entire purpose you would use a VPN to begin with. The only logs that can be less harmful and not present any security issues would be connection logs. The data on a connection log keeps pretty mundane data like incoming/outgoing ip address, how many bytes of data was transferred as well as a time/date of connection. Even the biggest and most privacy oriented VPN providers still keep connection logs for a few days. Although this data is deemed to be pretty harmless, it is still data that is logged. We did find a few companies that do not log any information or data. 1) Private Internet Access – This provider has an OpenVPN feature with up to 256 bytes. 1) Private Internet Access – This provider has an OpenVPN feature with up to 256 bytes. Complete with a 4096-bit RSA keys, it is a good value at $3.33 per month. This provider does not keep any logs plus they have kill-switch technology and DNS leak protection built into their software. 2) Proxy.sh – This provider has an industry first with a Transparency Report in their software. Proxy.sh offers 256-bit OpenVPN as well as DNS leak Protection. You can get plans starting as low as $3.33 per month. 3) IPVanish – Having eliminated keeping collection logs in 2014, IP Vanish completes our list for a VPN provider with top anonymity and security features. After testing the software, there were No DNS leaks. The test also showed very fast connection speeds. With the only tier-1 data network of any VPN provider on the market, IPVanish offers a free NAT firewall with all of their plans.